On the May 28th, 2018 it took place at the Sapienza University of Rome the workshop organized by CED – Center for Economic Development & Social Change, Italian Association for Quality of Life Studies (AIQUAV) and Sapienza University of Rome with the title “Vulnerability and Resilience: Theories, Methodologies and Applications”. 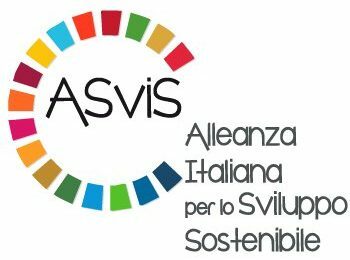 The workshop was planned as an independent event within the framework of the The Sustainable Development Festival 2018 organized by the Italian Alliance for Sustainable Development (ASviS). Both CED and AIQUAV are ASviS’ members. The workshop involved the participation of Andrea Gatto (President of CED) from Naples University “Parthenope”, Filomena Maggino (President of AIQUAV), Sapienza University of Rome, and Maurizio Vichi (Director of the Department of Statistical Sciences at Sapienza University of Rome). Speakers from academic and institutional sectors actively contributed to the discussion on the subjects of vulnerability and resilience. By bringing their different professional experiences and perspectives, it has been possible to approach the core subject matters in a systematic and multidisciplinary way. Speakers were Enrico Giovannini e Donato Speroni from ASviS, Anna Rita Manca from Joint Research Centre of European Commission, Linda Laura Sabbadini from ISTAT and Gaetano Borrelli from ENEA. Enrico Giovannini introduced, through a long-distance video contribution, the issues of resilience and vulnerability within the context of the UN Sustainable Development Goals (SDGs). Donato Speroni linked the concept of resilience to the issue of sustainability, overcoming the idea of GDP as a unique measure of wellbeing. Anna Rita Manca discussed the EU guidelines in approaching the concept of resilience and explained how to implement these guidelines in the EU policies. Laura Sabbadini applied the concept of resilience in a social dimension: she analyzed the crisis of the Italian labor market and households in the last decade. Gaetano Borrelli explained the term “resilience” from an institutional and environmental perspective, striving to find any possible strategies and synergies. The CED contribution was significant not only in the organizational phase, but also in terms of contribution to the discussion by the proposal of different works. The following speeches were proposed: “Defining and Measuring Energy Vulnerability and Resilience” by the President of CED Andrea Gatto, and by Carlo Drago, CED researcher, from Rome University “N. Cusano” and the theme of “Reflexive Governance and the EU Energy Union” by Mattia Ferrari, CED member from the European Investment Bank. To conclude the workshop, the CED further proposed a practical experience: a hands-on tutorial on how to develop a vulnerability and resilience indicator through the statistical software R was held by Carlo Drago, CED member. The organization of such a new event in collaboration with ASviS represented a significant opportunity of growth for CED, as part of CED strategy to increase its activities of independent scientific research and its training proposals. The CED wishes to renew the collaboration with AIQUAV and Sapienza University of Rome in order to propose further joint training events in the upcoming period. Lancio del CED – Mariella Pagliuca, settore Ricerca del CED, introduce al terzo asse di ricerca del Centro: Sostenibilità e Nuove misurazioni del benessere.